We have recycled 300 devices! 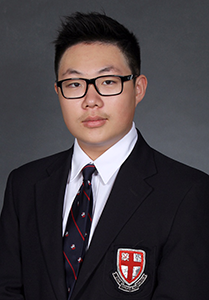 Allen Chak, a G11 student at the prestigious university prepatory school, St. George’s in Vancouver, British Columbia is pursuing his passion in hi-tech and entrepreneurship. Allen, a long time Scouts Canada leader, with more than eight hundred hours of community service work is no stranger to hard work. Allen’s love of technology coupled with his fondness of Vancouver’s greenness has made him seekout new opportunities to help save the environment through a new re-cycling program for electronics. On chatting with fellow classmates and friends he found that few were aware that second-hand electronic devices could potentially do a lot of harm to the environment. Bearing those problems in mind, Allen set about founding the non-profit youth organization, Green Tech Canada which allows teens to dispose of their unwanted electronic devices safely and re-cycle re-usable components. Soon he invited another 12 leaders from schools across Canada to do the same. Furthermore, Allen created a partnership between Green Tech Canada and Free Geek to donate recycled electronics to members of the public who could not afford to purchase a computer/electronic device and to find homes for donated electronics. Allen hopes that together Green Tech Canada and Free Geek Canada, will have a profound influence on solving E-wastes locally and maybe one day, globally. Together the students involved are leading a wave of “donating, learning and contributing ” in elementary schools and middle schools nationwide.